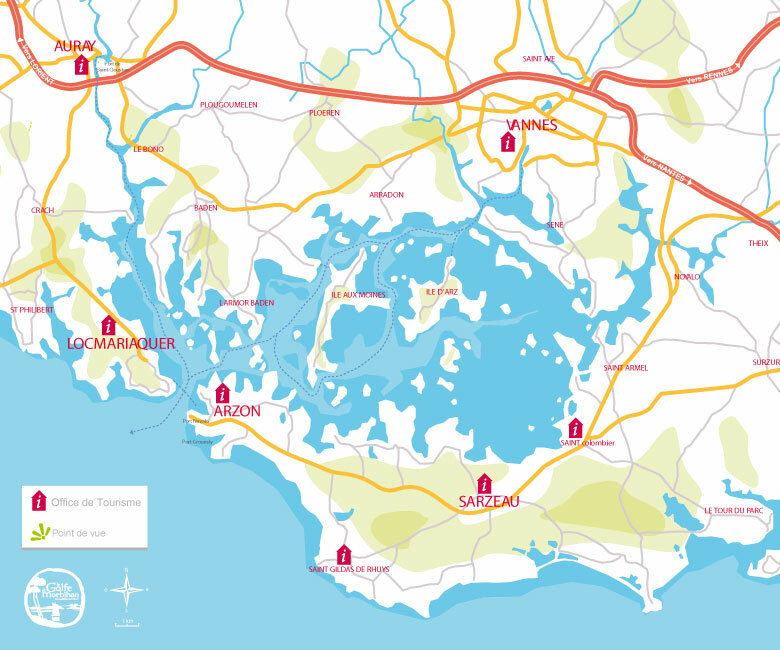 There is something almost unreal about the gulf of Morbihan and all its 12 000 hectares (29,650 acres or 46.3 mi2), locked in from the onslaught of the Atlantic Ocean, on the west coast of France. It is more of an inland lake, populated by a host of islands, creeks and bays and silently supervised by those imposing Breton houses, with their steeply sloping, grey-slated roofs and their walls of dark brown granite stone, now often white-washed, scattered all along the shoreline. Now in September, they all seem as empty and abandoned as the lines of moored boats whose masts stand in the reflection of the water like alignments of menhirs and pillars of the megalithic sites that adorn the landscape in Brittany, especially here along the penininsulas of the gulf. In a sense, the gulf resembles the oval interior of an oyster, which is closed in by the long flatter shell of the peninsula of Rhuys, to the south, whilst to the north, the rough and tumble of the land eventually arms itself round into the peninsula and deeper shell of Locmariaquer. For it is only here, in this narrow opening between Locmariaquer and Port Navalo, that the sea can be filtered by the huge area of the gulf. This picturesque village, famed for its prehistoric sites and oysters, has been lovingly portrayed in the book, The Oysters of Locmariaquer, by Eleanor Clark. Beyond its western borders lie the marshland, dikes and pockets of isolated Brittany farmsteads, and even further the sand dunes on the bay of Quiberon and the Atlantic Ocean. The name, Morbihan, means “little sea” in the Breton language and the monumental cairn on the island of Gavrinis near its entrance, testifies to the gulf’s rich historical importance. But it is its oyster that today plays an inherent part in its embarras de richesses. It used to be almost the ancestral home of the flat European oyster before it was ravaged by the pests of the late 1960’s and late 70’s. The oyster today is the creuse, the Crassostrea gigas, the Pacific oyster, introduced in the years between 1969 and 1977 to save the French oyster industry from collapsing. New threats appear, almost yearly, and for the last few years heavy mortalities have been occurring in the young and now adult oyster. There is talk of how long the oyster profession can survive, given the taxing problems it faces. A few passionate oyster cultivators, ostréiculteurs, have joined forces and are convinced the only way forward is to farm in the traditional way, that is, only use spat born in the open sea. 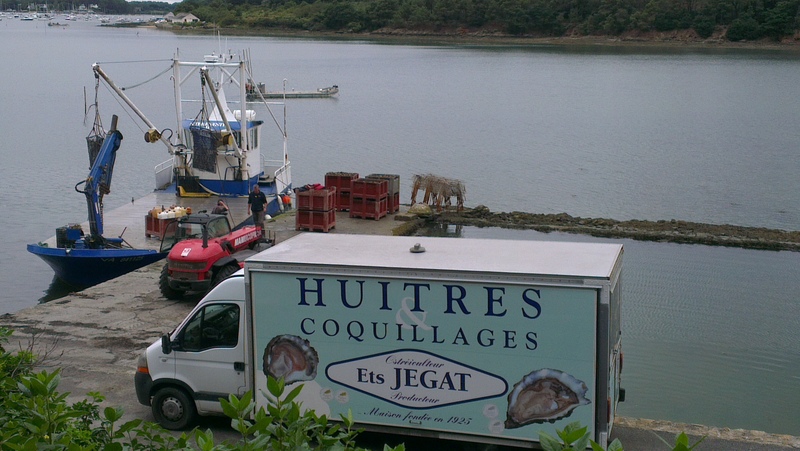 They have formed an association called Ostréiculteur traditionnel – whose slogan is ”Huîtres nées en mer” (Oysters born at sea), which has a national membership of about 70 members, although, according to its chairman, Benoît Le Joubioux1, about 10% of French oyster growers, about 300 in all, refuse to use seed from hatcheries. The association is governed by a charter that its members are obliged to follow and builds on the ethic of sustainability and collective responsibility. All seed which is bought cannot be obtained from any of the hatcheries that now have been set up by private and state organisations. Its members see real dangers in spat raised in hatcheries, since only a few genitors are used, which in turn restrict the genetic variability of the seed. This and the triploid’s accelerated growth during the summer months increase its vulnerability to environmental stressors. However, more recently demands for a moratorium on the use of triploid seed from hatcheries have been raised from several areas, the latest being Normandy, because of the fears that the horrendous mortalities have originated with such spat from these sources since it is the triploids that are dying at such a devastating rate. 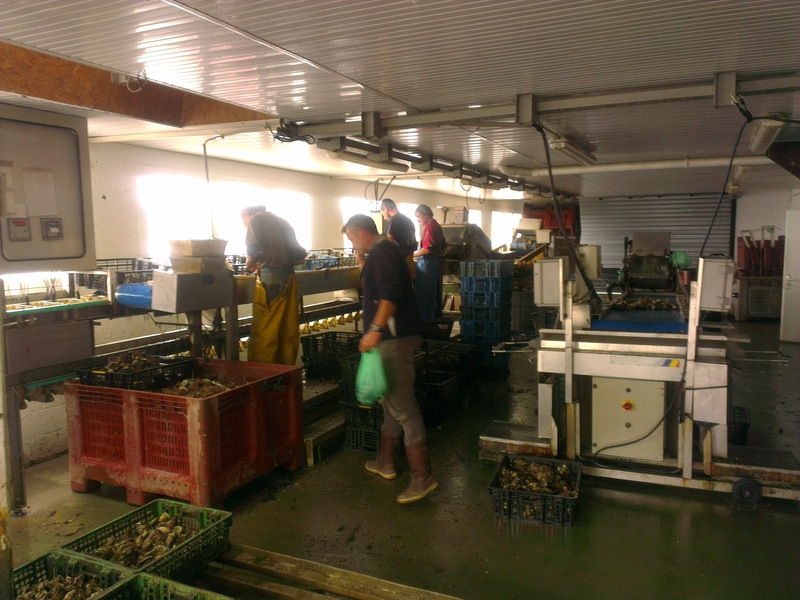 According to one French blogger2, it is yet another case of a struggle between the David of a number of small oyster farmers and the Goliath of multinational corporations owning the hatcheries and laboratories in collusion with state and public organisations like IFREMER, promoters of the tetraploid and triploid oyster. The traditionalists also believe, quite rightly, that traceability of all oysters should be introduced so that consumers can choose between natural and hatchery-reared oysters (and consumers should start demanding this as well!). They also want to have the right to label their product as being the natural oyster, and in this sense, the only oyster considered to be bio, that is ecologically reared. One crazy anomaly is that European Union legislation insists that any organic produce, labelled as such, must be traced back to its source, in the case of animals to its genitors, the result being that the only bio (organic) oyster in France is hatchery-reared (sic), and that the natural oysters, born in the sea, are barred from this brand, since it is quite impossible to ascertain their derivation!! One of these is Yvonnick Jégat, whose great grandfather started the oyster établissement back in 1925. Along the tranquil point of Arrradon, on the north coast of the gulf, a site of exceptional beauty, he conducts his oyster and shellfish business, working in harmony with nature, the sun, the currents, the fresh water flowing down into gulf. As member of this association of ostréiculteurs traditionnels, which prides itself on the traditional savoir-faire of the profession, he wants to produce an oyster that is as natural as can possibly be grown. 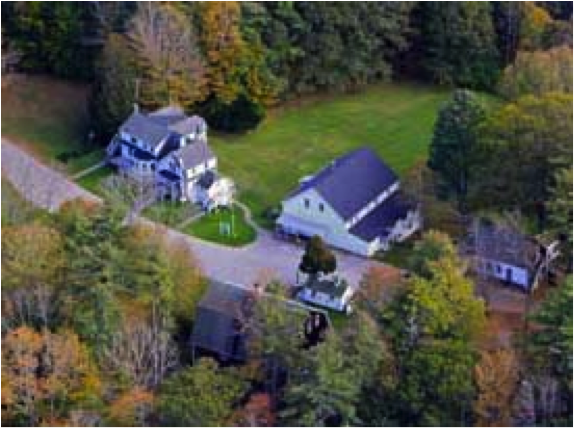 He has three parcs in different areas of the gulf, totalling 40 hectares (98 acres). A large one on the northwestern slope of the island of Arz in the centre of the gulf, one in front of the point of Arradon and the third just east of the village of Locmariaquer. After buying his seed from the bay of Quiberon, he cultivates the spat in bags on trestles for two years to make them strong enough to resist predators like the starfish, crab and sea bream and then places them on the sea floor, which is sandy rather than muddy, like most of the gulf’s floor. They are dredged regularly and he eventually farms them with a drag. It takes between three or four years for them to reach a good, marketable size. The first two sites are preferred as they are fed by the swirling, strong currents from the swelling and draining of the gulf by the Atlantic tides. He has six employees for whom he feels a genuine pride and responsibility. They are busy sorting out the latest batch of oysters Yvonnick has brought in on the afternoon tide. They will be shipped on to the market later, some with the evening train from Vannes, a good 20 minutes away by car, to Paris. He also wants to be able to pass onto to his children a thriving business, built on values that he sees as important not just for himself but also for the environment and man’s future. 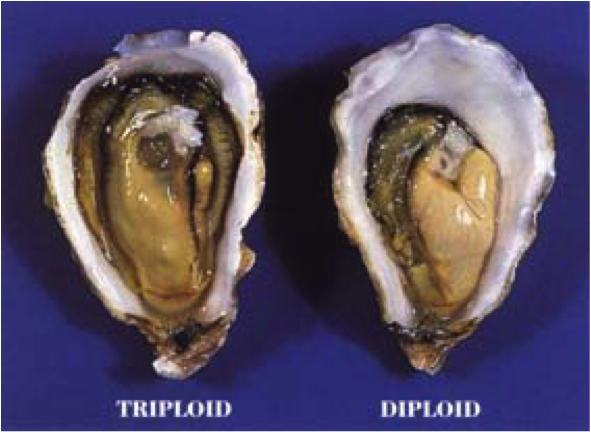 He feels sure that many of the recent problems blighting the oysters in the French Atlantic waters have been caused by the overuse of triploids, whose seed is produced by hatcheries. Loss of genetic diversity is one reason for the vulnerability of young oysters; others the use of antibiotics in hatcheries and the manipulation of conditions to speed up initial growth so that the seed is not healthy enough for the rigours of the marine environment. Like many ostréiculteurs he is angry with IFREMER, the French state agency responsible for supervising the industry, as he thinks they are neither being sufficiently objective nor indeed truthful about the causes of these dire problems. Moreover, they do next to nothing to support those oyster farmers like him, who want to preserve the traditional methods of cultivation. Yvonnick is convinced that the natural oyster, that is one grown on the sea floor, is far more hardy and resistant than those reared by hatcheries, and especially the triploid strains. The latter have proved to be too unstably sterile, and their effect on natural banks of oysters could be devastating. He is still awaiting a reply from IFREMER to a letter he sent them during the summer about his own observations of the oyster mortalities that go against IFREMER’s explanation of the causes. According to him, they prefer to blame adverse weather conditions, such as too much rain in the spring, the heatwave in July or global warming. Also he feels some of his colleagues are too afraid to speak out, even in private, for commercial and marketing reasons, and so prefer to play ball with the authorities. Anyway, what about his oysters, which have won many prestigious prizes at national agricultural fairs and found their way onto the dinner tables in the Elysée, the presidential palace, and the Ritz hotel, in Paris? But he knows he has so many loyal clients, and with that said, their taste was absolutely delightful. The no 3s had a thick, heavy, dark brown shell, covered lightly in red-brown, bushy seaweed, holding a strong adductor muscle so that they were extraordinarily difficult to open. Inside, the mantle revealed a deep black, lace-like colour, more so against the uniform radiance of the pearl-white surface and jammed pack with meat that was muted beige, plump and firm (no signs at all of any milkiness, this being the middle of September). Almost crunchy, its taste was the immediate flush of sea salt and freshness, which gave way to a slight flowery or grassy sweetness and the finish had a definite flavour of oil and wood. So just how would they taste in January? I’d love to find that out! MEROIR OR MERROIR? OSTREOPHILE OR OSTREAPHILE? Being a bit of a perfectionist, I find it hard to accept mistakes or wrong statements that seem to get repeated as though they were truths or lazily taken for granted. In this case, I’m being a stickler for spelling. Let’s start with the word ‘ostreaphile’ which only seems to occur in American literature about oysters. There is even a website with that name. This is completely wrong for the simple reason that the compound word is made up of two words from the ancient Greek, namely a noun ostreon (oyster) and a noun philia (friendship) or adjective philos (loved). All known combinations ending in the English suffix -phile has an ‘o’ before the suffix, like necrophile, bibliophile or halophile. In fact, in English there is no other form in general use. And since the Greek is actually spelt ostreON, then its compound is obviously ostreophile. Now from where the word ‘ostreaphile’ is derived, one can only guess that someone maybe mixed up the Latin word ostreum (of which the plural is ostrea) with its Greek precedent or was just simply guessing. Anyway, grammatically and linguistically, the word should be ostreophile. But ‘ostreaphile’ seems to have become so common in American texts that it will be hard to change that. But it is based on an unfortunate ignorance of the etymology of the words, which is not uncommon, dare I say it, on the western seaboard of the Atlantic. As a curious footnote to this, the founder of French aquaculture, Victor Coste, whose work on saving the oyster beds in France during the 1860’s ushered in a new era in oyster farming, minted his own word for oyster cultivation, calling it ostréoculture. But soon after he died, it got changed in the Littré dictionary when it first appeared in 1877, as it was spelt ostréiculture! Okay, let’s move on to my other gripe, the word, which ALSO only seems to occur in American literature – ‘merroir’. It is an attempt to transfer the accepted concept of the French terroir, which has long been used to explain the varying tastes of, for example, wine, olive oil, tea and cheese, to a marine environment, which is fair enough. No complaints so far, at all. But, for Christ’s sake, the word for earth in French is terre and the French for sea is mer not ‘merr’, both originating from the Latin terra and mare! The simple suffix, which is used a lot in French is -oir(e), often denoting a special place, building or instrument (like dortoir, laboratoire or miroir) has its equivalent in English -ory – eg, territory, dormitory or accessory, and both suffixes are derived from the Latin –orium). It was a common way in New Latin of identifying, especially, a place, building or rooms inside with its particular function. For instance the vomitorium in a Roman amphitheatre was not a place to throw up in but an exit passageway to enable people to leave quickly. There is absolutely no reason whatever to add an extra ‘r’, so grammatically and etymologically it is obvious that the word should be spelt meroir. In this sense, the concept of meroir recognises the existence of specific and unique properties and functions of a certain area of the sea (various aspects of the water column as well as the topography of the sea bottom) which contribute in giving whatever grows there its special flavour. There are some good articles in the North American press about meroir and oysters, like this one or this one or even this one! And if that’s not enough then the celebrated Rowan Jacobsen’s authority should sway the doubters: in his connoisseur’s guide to oyster eating (A Geography of Oysters, 2007,p 3), he writes MEROIR (though he chickens out of it by preferring to keep to the term terroir). It’s strange how that little ‘r’ letter has a nasty habit of popping up so often in connection with oysters! So now I’ve had my rant!! Oyster shucking competitions have a good long history from the days in the mid 19th century when oysters were shucked and their meat shipped off in cans from the East coast of America. By the middle of the 19th century when railroads had penetrated into the heart of the country, oyster consumption rocketed and demand for these molluscs was insatiable. Shucking grew up in the packinghouses and canneries, located in the seedy quarters of harbours like Baltimore and New York. It was dirty, exhausting and repetitive work that only attracted the poor from the lowest echelons of society. In a way to relieve the sheer boredom of the work, shucking competitions started being held from about the last quarter of the 19th century when it was a sport that could earn a good shucker a decent livelihood. In the oyster canning business, the shuckers were paid piece-rates, by the amount or weight they shucked and speed was at a premium. Kurlansky (2006, 180) describes the vibrant atmosphere of the shucking sheds in New York at that time, when shuckers were fiercely competitive amongst themselves. In addition, there were competitions for the fastest sail-boat run from Staten Island to Chesapeake Bay and back with seed oysters, the fastest tonger and so on. 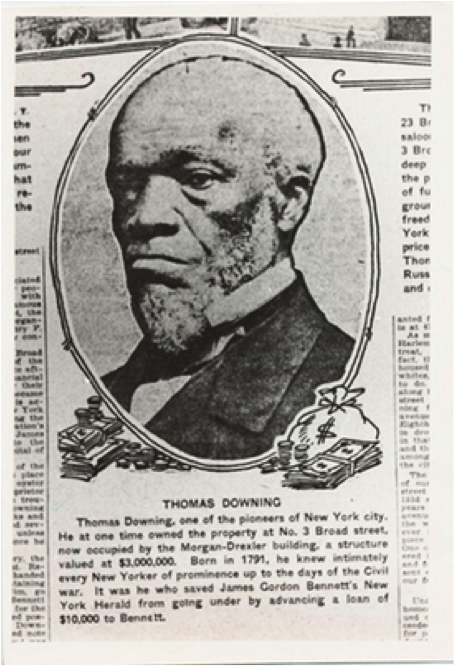 Contests were both local and regional and then grew into national events, where blacks and whites, men and women could take part on equal terms. Large, rowdy crowds were there, besides national newspapers; heavy betting took place and prize money was considerable (up to 4 months’ salary). In one contest, a shucker from Rhode Island in a North v South competition succeeded in opening 100 oysters in 3 minutes 3 seconds. 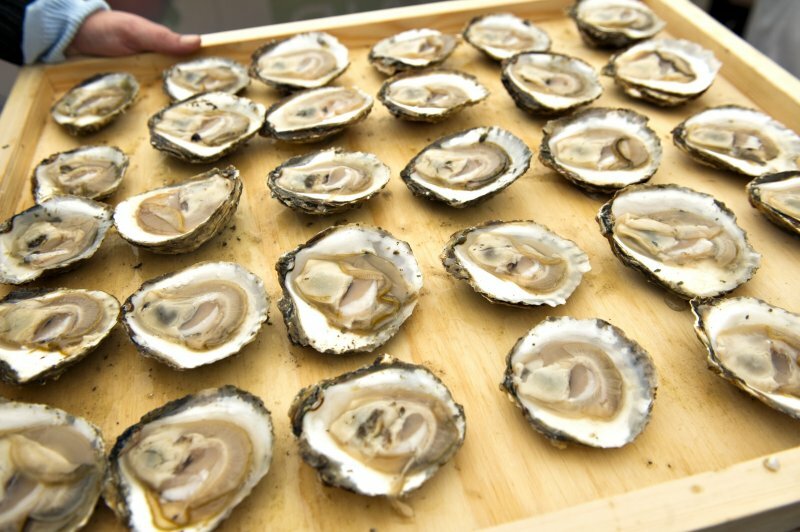 Now shucking competitions are held at different oyster festivals that usually are held in the autumn, similar to any harvest festival to celebrate the opening of the season. Patrick McMurray, a Canadian champion several years running, has written an impassioned shucker’s guide to oysters Consider the Oyster (2007). According to him, the fairest and one of the biggest contests, takes place in Seattle in mid-March (formerly called the Oyster Olympics until the US Olympic Committee threatened litigation, despite the existence of the indigenous oyster that is named after the state capital on the Puget Sound called Olympia), where competitors have to chuck 12 each of the five, most common species. The past winners of the American championships reveal that a number of women have been crowned champions, as first men and women compete separately and then the two respective winners compete against each other. One legendary winner, many times over, has been Deborah Pratt who over more than 20 years has been one of the fastest shucker in her native state of Virginia, proving the rule that it is not just a question of brute force at all, more a subtle hand-and wrist technique, coordination and alacrity. The rules of the various competitions differ in detail, as do the competitors’ plan and method of attack, choice of equipment and style, but the aim, the spirit and the need to strike a balance between speed and perfection are the same. 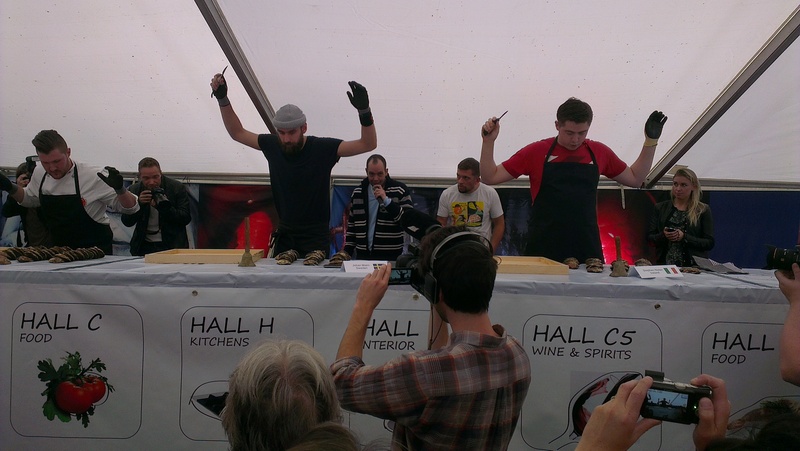 Now this year, Copenhagen hosted a oyster shucking competition for the first time, called the World Oyster Cup, to which some of the very best shuckers from Europe and North America were invited. Some rumours had long been circulating about the arbitrariness of the judging in the World Championship held annually in Galway in Ireland. Anyway the Danes decided to organise a rival competition, its first ever. It was a beautiful sunny and warm Saturday for the end of October, Copenhagen at its best. There at the gates of the famous and romantic Frederiksberg Gardens, the annual Oyster Trophy Week reached its climax with its grand finale of the World Cup. The week opens the oyster season when the Danish monarch is traditionally presented with the very first oysters of the season from Limfjorden. Until 1849 Danish oysters were considered part of the royal prerogative, dating from the days in 1587 when the then king Frederik II imposed a royal monopoly on the oyster beds, which at the time lined the kingdom’s western coast in the Wadden Sea. Ever since 1825 however, Limfjorden has been open to the North Sea, after a gale breached the thin Aggertangen isthmus, and flat oysters began settling some 10-15 years later. Since then Limfjorden, especially, its western banks around Nissum Bredning, has been home to its native oysters, where the water column has been free of the parasites Bonamia ostreae and Marteilia refringens which otherwise have been so prevalent along the coasts in Europe. They are among the finest oysters, full of succulent meat, and so rich in flavour without that overpowering metallic taste that often characterises the flat oyster, less briny and with a surprisingly shy, sweet aftertaste. Back to the competition! 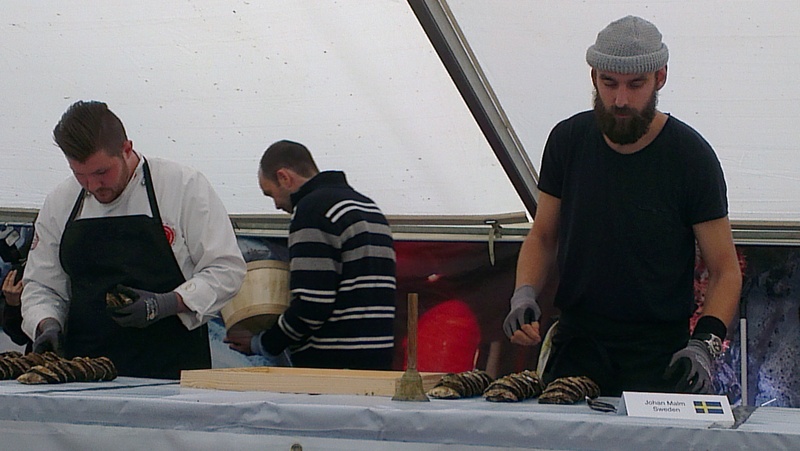 The tent was first filled with Danish shuckers aspiring to win their national championship and to gain 2 places in the World Cup starting line. Two of the contestants were twins, Jonas and Simon Tønsager, young and hungry, and it was Simon who managed to win the Danish Cup and take one of the final spots; though in the qualification rounds he was beaten into first place by Jesper Knudsen, a well beefed-up combatant. So they were the Danish representatives to participate in the heats with shuckers from Scandinavia, Ireland, North America, England, Estonia and Germany. Unfortunately, no-one turned up from the Gallic countries like France or Belgium, home to some of the most proficient oyster openers. But the competition is what it should be – pure fun. They are all mostly great buddies and love the hype, the atmosphere and the chance to compete and may the best man win. A presentation tray of delicious Limfjord oysters….mmmmm! From the heats, four made the final, two from Scandinavia and two from Ireland. Michael Moran, from a star-studded family of Irish shuckers, like his father Willie, who holds the record for the fastest ever time in the Galway World Championships of 91 seconds, who actually works in finance when he’s not looking after the family’s legendary oyster restaurant near Clarinbridge, outside Galway, Moran’s Oyster Cottage, swept into the final with the fastest time from his heat. 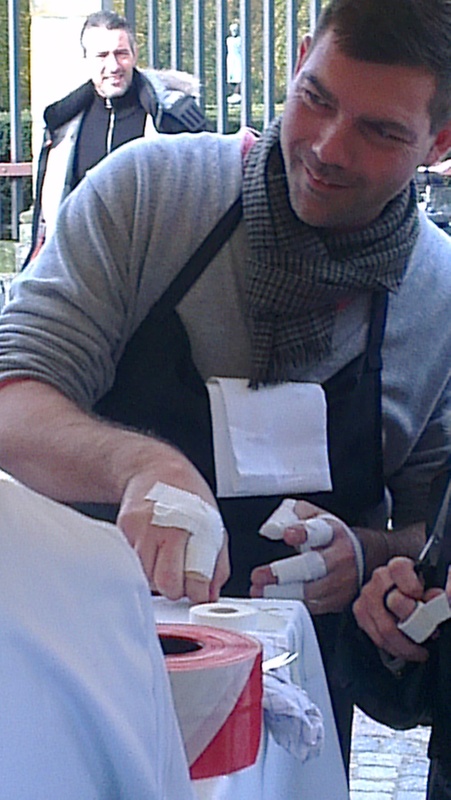 As the current world champion from Galway a few weeks previously, he has regularly been considered one of the great shuckers of the circuit. He was joined in the final by his Irish neighbour and colleague, Stephen Nolan, a quiet and unassuming young man, who had been bold enough to come to Copenhagen despite the fact that his wife was expecting their first baby two days later (he told me that she had told him to go anyway, and being a good husband he had decided to obey her!). Stephen had had a slower time in the heat but came through on the basis of his skillful technique which meant he had fewer penalty points. Simon Tønsager beat his compatriot Jesper Knudsen by just a few seconds to make it into this prestigious final of four. He is one of the co-founders of this competition and passionate about these molluscs. The other Scandinavian who made the final was Johan Malm, runner-up in this year’s world championship in Galway, beaten by Michael Moran – of course! Their rivalry is as intense as their friendship, but Johan from Gothenburg in Sweden, whose restaurant, Gabriel in Feskekörka is the hub of the city’s temple of fish and shellfood, thrives on the challenge of a competition. Not the fastest or first to finish, he prides himself on precision, care and competitive drive. Now he was out for revenge for his defeat in Galway. His qualification time was the best, followed by Michael Moran’s. There was no doubt that this would be a hard-fought contest. All the contestants scrutinise each oyster from the carton of 32 oysters for size and any irregularity and any suspicious looking oyster is substituted under the approving eyes of the judges. 30 oysters are selected and lined up, in rows of ten, flat side down, by the side of the presentation tray. Some are minutely pedantic, making sure that any seaweed or detritus clinging to the shell is blown or scraped away. Preparing the oysters is not only a necessarty part of the ritual but also functions as a chance to up the ante! Each competitor seems nervous and raring to go, eyes are piercingly focussed, hands are fidgeting, some pace back and forth waiting to be called into position. Each one has a bell on the table to ring to signal they have finished. After everyone is satisfied with their oysters and their placements, hands are raised above the head and the compere and crowd shout out in unison “10-9-8-7-6-5-4-3-2-1-go” and off they charge, accompanied by some rousing Irish music and noise from the enthusiastic public. Now these Danish oysters were brimming with fleshy meat after a cold summer when little spawning seemed to have occurred. The adductor muscle and hinge were strong so that opening them presented several challenges. The contestants realised that scars and penalty points were going to be inevitable as their knives would immediately encounter the oyster flesh. Since the hinge was strong, more brute force would be needed to penetrate the hinge, thus incurring more risk to the flesh and higher penalty points, so many opted for a thinner bladed knife to avoid initial contact. These professionals make their own special knives and have several depending on the kind of oyster to be opened. Most use double bladed knives, one for opening and the other to cut the oyster from the bottom shell, whilst a few traditionalists, mainly those from North America use a single blade for both purposes. The oysters tasted so good, plump, rich and meaty, having a slightly sweet aftertaste, possibly due to the higher glycogen content after a summer without spawning. Anyway, they would prove to be a hard shell to crack. The noise was phenomenal and most were cheering, naturally, for Simon, the Danish contestant and youngest finalist. Michael was racing away at frenetic speed, his white woolly hat bobbing to and fro as he mercilessly attacked each oyster. The compere keeps count of the number of oysters shucked by the competitors, and the noise reaches a crescendo as they finish and ring their bells. Michael was by far and away the fastest, finishing off 15 or 20 seconds before Johan Malm and Simon Tønsager rang their bells at the same time. Johan worked away with methodical concentration, shouting out the odd swearword when something went wrong, and was also sporting a grey woollen hat (but had removed his sunglasses!). Simon was serious, intent, and well-focussed, whilst Stephen hovered over his oysters and seemed economic, almost leisurely, in his approach and style. So after the judges had been handed the trays and scored each presentation – the trays are numbered so the judges have no idea whose tray it is they are inspecting – the results were announced. 4 seconds are added for any oyster, not severed from its shell, or with shell or grit on its flesh, or if any flesh is scarred, or not presented upright. In the event (as did happen) that an oyster is lost or not presented, 30 seconds are added; the same goes for any signs of blood (which didn’t happen)! Bonus points (up to 30) are awarded for presentation at the discretion of the judges as to how attractive the oysters would look to a customer in a restaurant. 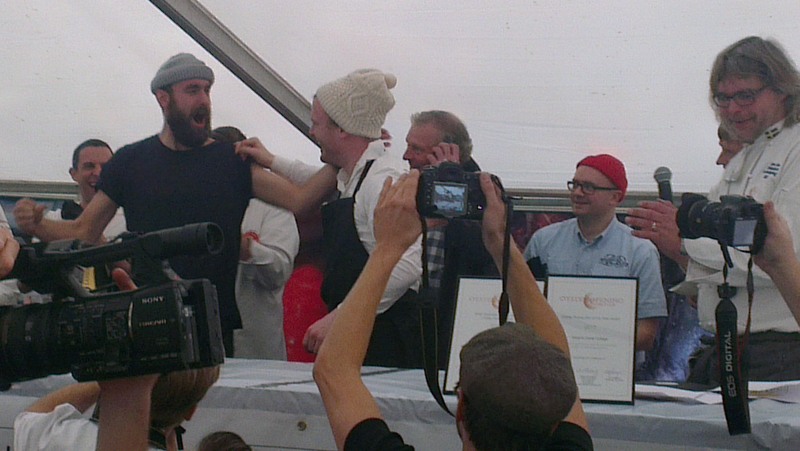 Johan Malm screams out his delight the moment he is announced winner of the first World Oyster Cup! All the competitors are ushered onto the stage as their positions are announced, and prizes given, but in the end there are two contestants left for the first two places, inevitably almost, Michael Moran and Johan Malm. 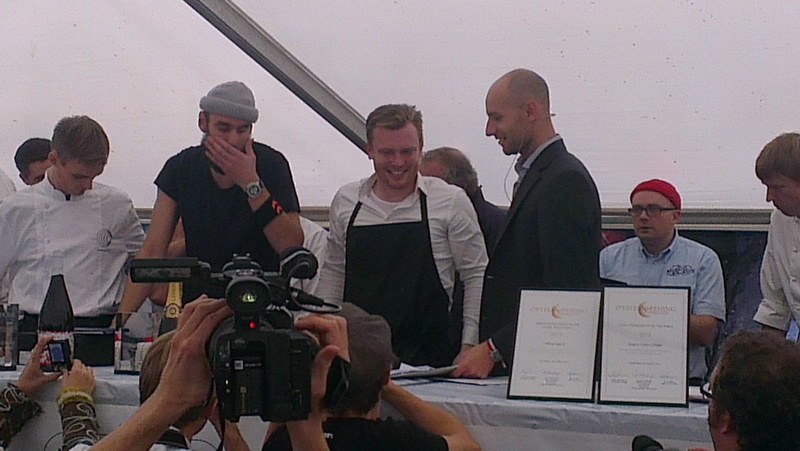 Revenge is sweet, after all, and Johan Malm screams out his delight when he’s announced as winner. Michael and he bear-hug each other up and the crowd, well inebriated, join in. Johan’s overall winning time is just 6 seconds faster than Michael’s and both their times are considerably faster by 25-30 seconds than their respective qualifying times. It had been a great show, well-supervised by another Nordic legendary oyster shucker, Hasse Johannesson, and the public had been able to eat up the oysters provided by the Limfjord fisheries, Vilsund Blue and Glyngøre Shellfish, and wash them down with special Oyster Stout, brewed in Fanø on Jylland by the Mikkeller micro-brewery, with one oyster for every liter. So book your tickets to Copenhagen for next year’s Oyster Week! Oysters are probably the only creature on this earth that can be eaten raw and alive, in natura, in the most varied of settings – in the wild on some isolated coastline, in the warmth of our home or in some fancy or makeshift restaurant. Perhaps this is one of the very palpable reasons for both the delight and disgust they conjure up in their friend and foe respectively or for the simultaneous feelings of fear and excitement that the oyster can arouse, especially in beginners. An animal that has managed to outlive the dinosaurs and their contemporaries has not only adapted itself remarkably well but also its longevity merits our respect in that it has acquired its own idiosyncratic form of existence over these thousands of millennia. And this primeval quality is coupled with the specific marine terroir (sometimes even in these contexts called meroir), which the oyster indelibly carries inside its shells. Nonetheless, there are a plethora of ways to prepare oysters: they can be canned, pickled, dried, smoked, baked, stewed, steamed, fried, grilled, roasted, boiled, barbecued, as a starter or main or side dish, as stuffing or sauce or even taken as a shot. Oysters have been quite aptly compared to mushrooms, in that both seem so innocuous but can be oh so deadly, although one obvious difference is that any slightly off-putting smell other than that of fresh, sea air, betrays it as a bad’un. On the plus side, oysters are today one of the most rigorously controlled foods and strict hygiene standards have to be followed. Let it be said from the beginning, oysters have never been considered a meal in themselves, although some addicts will beg to differ. On the contrary, they are appetisers and be as it may that they are highly nutritious, they “nourisheth little” (as our redoubtable Henry Buttes wrote [see my first post about the months with an ‘R’]), i.e. they will never fill you up. And that is why there are untold stories of people eating huge amounts of them only still to be able to devour the main course of the meal. As we venture then to start eating our platter of oysters, we need to observe some precautions (as with many pleasurable experiences). One safe step to take when eating raw oysters is to turn it over in its shell and inhale its odour. There should be an easily identifiable smell of fresh sea air. If in doubt, don’t eat it; any self-respecting restaurant will always bring in another, even were the waiter to disagree. 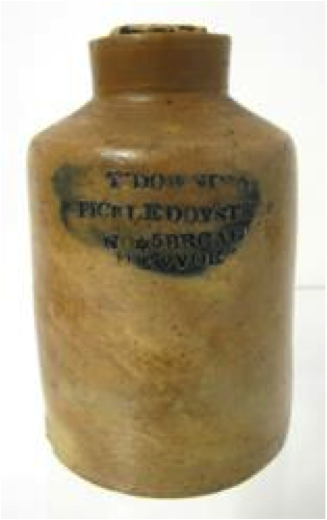 Certainly, some fines de claires and, for instance Swedish natives, will respectively have a slightly sweeter or earthy smell, as they originate from more brackish water. 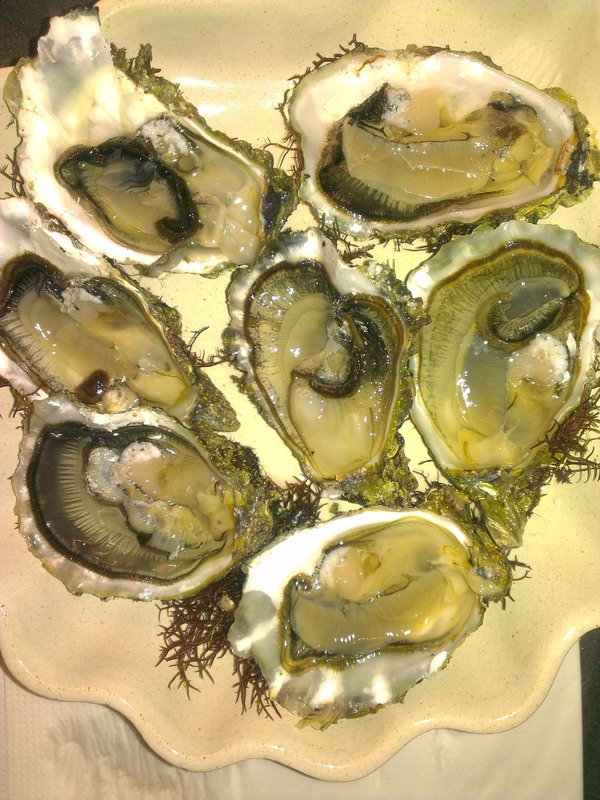 However, the colour of the raw, moist flesh can range from creamy, pale yellow, grey, beige, green or even reddish, and the rim of the mantle may be coloured in much darker hues, but usually black; for example, some oysters from Arcachon have been known to develop a brownier shade, whilst in certain areas of Brittany oysters can assume a reddish-orange colour, probably due to the reaction between a metal, like iron, and an acid, that can also be present in the some clays along the shore. The liquid inside the shell should be clear, or not excessively cloudy, but often when the flesh is disturbed, some discolouring may occur and it is then that the odour is decisive. Some connoisseurs advise that the “first water” in the shell should be poured out as it may contain impurities from the final stages of cultivation or be only sea water, and if this happens then the living oyster will automatically secrete its own liquid during a couple of minutes, which is milder and richer than the original. Some restaurants will severe the oyster’s adductor muscle holding it in place to the left and lower shell, but some don’t and scraping it off the shell adds to the suspension of elation before the oyster is scooped into the mouth – in the phrase of the Parisian poet and chroniqueur, the Symbolist Léon-Paul Fargue, it feels like “kissing the sea on her lips” (on a l’impression d’embrasser la mer sur la bouche). Now comes the exciting part, when the solemn enactment of chewing can be relished. Where on earth the idea of just swallowing the oyster whole came from is beyond imagination; no doubt, from someone who didn’t dare to try or even want to experience the real taste of an oyster. Poor old William Thackeray, that novelist of the burlesque, on the first of his lecture tours to America in the 1852 was offered some enormous oysters (some say Saddlerocks) at a dinner in the luxurious Tremont House Hotel in Boston. In horror, he inquired of his host what he should do with this “animal”, and was told “we Americans swallow them whole”. That he proceeded to do, though the experience left him quite shocked after which he blurted out, “I feel as if I’d swallowed a live baby”. Again the Americans are fond of slurping their oysters too in great numbers, which conjures up a more orally aggressive approach to the ritual, as exemplified in the stories about a notorious and brash New York character in the late 19th century, called Diamond Jim Brady, who used to down 300 oysters or so at any one meal. An almost even greater piece of sacrilege is advising the eater to chew just two or three times before swallowing. On the contrary, it is the leisurely act of chewing, the caresses of the tongue on the soft, chilled, juicy flesh, sucking in some air to allow the flavours to moisten the palate and pausing for stillness to reflect that is the joy and essence of any savouring pleasure: “my tongue was a filling estuary, my palate hung with starlight” was Seamus Heaney’s description of eating his oysters “alive and violated” down in Clarinbridge, near Galway in his poem Oysters (1979). On the other hand, Woody Allen would feel far more a greater affinity with the sentiments of Thackeray, as he with characteristic contempt coiled at the idea of eating oysters: “I want my food dead – not sick, not wounded – dead.” Even though the physiology and biochemistry of taste need to be brought into any explanation or understanding of the various taste sensations that are stimulated by the juicy flavours of the flesh, for the enjoyment and appreciation of our food, we are rather guided by our subjective impressions, past experiences and proficiencies which we translate into judgements and comments on what we are eating. Umami is a Japanese word meaning, confusingly enough, “savouriness” but is due mainly to glutamate or glutamic acid, one of the naturally occurring amino acids (building blocks of protein), and three kinds of ribonucleotides, inosinate, adenylate and guanylate, that are present in cured meat, aged cheese and high-protein food generally, and the taste is often translated as “brothy” (in the sense of stock from bones). It is also found in abundance in algae, fish, soy and oyster sauce, green tea and ripe tomatoes. One of the most splendid descriptions and attempts to “nail” the essence of the rich, multifarious array of tastes in oysters has been given by Rowan Jacobsen in his A Geography of Oysters (2007), who runs an admirable crusade on identifying and preserving the indigenous terroir of American food, though his first love is the enjoyment of oysters. 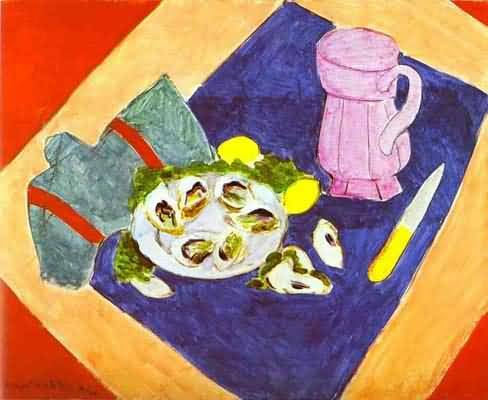 He compares the ritual of eating oysters to some Zen spirit, more like the Japanese tea ceremony, as it is as much art as consumption, though not satiation. Like wine, the flavour of oysters comes in stages. The salinity of the sea provokes the first, immediate sensation, filling the nose and preparing the mouth for its morsel. Here there are suggestions often of a sea-breeze, floral traces of, say, samphire, or an aroma of seaweed, rock pools and the shoreline. Too much salt can be neutralised by the addition of acid, hence the lemon or mignonette sauce. Then comes literally the body of the oyster, drowning the mouth with flavour. All this disintegrates into nothing if the oyster is swallowed. No, chewing and masticating the soft flesh brings out the body of the oyster, however small or slight, and releases the multitude of flavours that we can discern and associate to other food experiences. So we don’t start swooning about amino acids or alkaloids, rather we search for comparable flavours that we have experienced with meats, fruits or vegetables. Just in this moment of culinary magic, the plethora of tastes and flavours that can flood into the mouth can range from oils and metals to greens and fruit, from milk and mushroom to smoke and stone. Generally, the rock oysters tend to have softer, smoother textures, whilst the meat of natives provides more resistance, with an almost al dente quality. However, the range of tastes can be quite extraordinary: the obvious salinity can be expressed as salty, briny or sometimes tangy (the French often mention an iodé taste which is usually translated as briny); tastes of metals such iron, brass, copper or zinc; traces of vegetables as in spinach, broccoli, celery, asparagus, artichoke and cucumber, or of fungi like mushrooms, morels and algae, or of herbs like parsley and black or green tea; the fruitiness can be associated to melon, peach, apricot, even avocado or citruses or translated into various kinds of nuts like almonds, hazelnuts and walnuts; often one can find descriptions of stone, slate, chalk or flint, probably connected to the calcium content of the shell; another taste that can be experienced is that of cream or butter, and even slicks of fish oil. In other more general terms, other adjectives that have been used in characterising oysters are smoky, dry, tannic, rich, smooth, round, crispy or thin, similar to those encountered in wine tasting. Finally comes the finish – the aftertaste that lingers on in the mouth, sometimes for hours, and more likely to be sensed as one of minerals,metals or oils, but also on occasions slight fruity or floral tones. Before listening in on a few connoisseurs of oysters, it is worth to bear in mind the essence of the French concept of terroir, as oysters change their taste from season to season and of course since they filter the water around them are influenced by the nutrients in their vicinity. For instance, after their summer ordeal of spawning when they can lose 75% of their weight, and as the water cools down and becomes less salty, they build up their body mass again and metabolise food into glycogen, a carbohydrate, and lipids to keep them through the cold months. Then the oyster’s flesh is full, firm, plump and has an almost ivory texture. In itself, glycogen is tasteless, but when broken down glucose is produced, whilst lipids contain fats and fatty acids, essential for energy storage. This can explain the taste sensations of butter, oil, cream and juicy fruits, for example, when the oyster is chewed carefully. A few quotations from Jacobsen’s book will suffice. He selects his favourite Pacific oysters, many of which “have a hint of melon gone murky, as if you stored cantaloupe slices and sardines in the same refrigerator container…and some a delicious finish that people call watermelon..” (p.49): from the west coast of Vancouver Island, “art-deco-patterned, lavender-flecked Nootkas, in fact, taste strong, with hints of muskmelon and a flavor of cold, slightly sweet raw milk – animal, but good”. Penn Coves from Washington state “are a prime example of the “clean finish” style of Pacific oyster – light, salty, fresh, like a cucumber sandwich wrapped in parsley”. From the other side of the country in the Chesapeake Bay, Rappahannocks are “extremely mild oysters, exhibiting a simple sweet-butter flavor…and…with the most evanescent of wines can be delicacy itself – a lesson in the pleasure of minimalism” (p13-14). North American oysters have long since been marketed with alluring brand names, to distinguish them from their out-of-town neighbours. Mary Fisher’s eulogy to oysters, Consider the Oyster (1941) rarely misses a chance to point out all the goodness they contain, and cites various historical sources emphasising their benefits for body and mind in equal portions. She writes of the 15th century French king, the great Louis XI, who made it obligatory for his advisers to feast on oysters each day so as to aid their intellectual faculties. 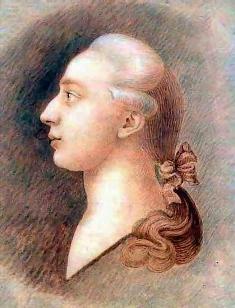 Of course, whatever the real basis for all these claims from Cicero to Casanova, from doctors to writers and cooks and from ordinary people to lay scientists, there is hardly any reason not to doubt the accumulated popular belief, be it wisdom or superstition that they were brain food, an aphrodisiac or considered a vital appetizer or starter for any serious banquet, worthy its name. 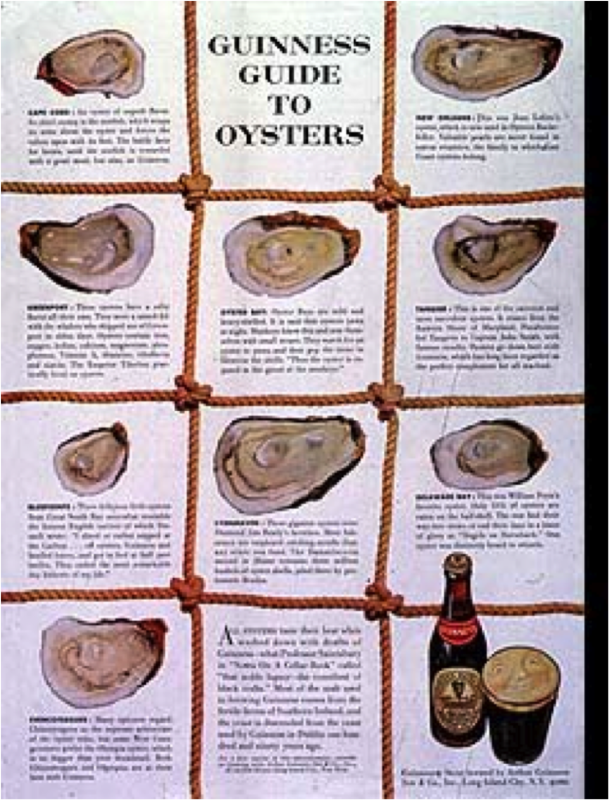 Even today, as she concluded an oyster diet for any man “is still good as long as the oysters are fresh and clean, whether it goes to nourish his brain, his belly, or his most private parts” (p29). Nowadays there is more or less scientific proof of the oyster’s nutritional values. Again its nutritional value does change during the year and even across the different species so that the figures presented here are average estimates: although like most organisms it consists mostly of water, around 85%, they are also one of the most nutritionally well balanced of foods, containing about 9-10% protein, 3-4% carbohydrates and 1-2% lipids, especially its healthy component, polyunsaturated fatty acids. Oysters contain twice as much of the healthier unsaturated fats, of which polyunsaturated fat forms the greater part, than saturated fat, but the overall fat content is still five times lower than for crab or chicken breast. The majority of the polyunsaturated fats comes from the omega-3 fatty acids which the body cannot synthesise itself so that it needs them through its diet. 100g of oysters are considered to be a rich source of them, providing more than two days of the recommended daily allowance (RDA). As regards trace minerals, it is well known that oysters per 100g provide an overload of copper and zinc, sometimes well over 5 times the RDA: also they are, like most shellfish, a generous source of iron, iodine, manganese, phosphorus, selenium, sodium, calcium, magnesium and potassium in that order. Because of its high sodium content, the oyster is not recommended for those on a low-salt diet. In keeping with its low-fat concentrations, the oyster provides fewer calories, about 70-80 kcal (300-330 kJ) per 100g and therefore is a source of low-energy food and can be reliably included in any low-calorie diet; (a recommended daily calorie intake for adults is between 2000 and 2500 kcal). But it must be stressed that there are some wide variations between species and this is even more noticeable, regarding the concentrations of different vitamins. Oysters are an excellent source of fat-soluble vitamins like A, D and E – 100g supplying about 10% of an adult’s RDA; and even of water-soluble vitamins such as B1 (thiamin), B2 (riboflavin), B3 (niacin) and B6 (pyridoxine) 100g provide a sixth of RDA, but only traces of vitamin C (ascorbic acid), although French sources regard the oyster as one of the largest providers of this vitamin in the animal kingdom. However, when it comes to the important vitamin B12 (cobalamin), 100g of oyster supplies up to more than 9 times the RDA. There has been controversy about whether oysters can be recommended as a low-cholesterol diet, as many would like to, although all shellfish do contain cholesterol, especially lobsters, crabs and shrimps. The USDA claims that oysters per 100g provide as much as a sixth of the recommended daily value, which per se is a high amount. But on the other hand, it seems as if the presence of omega-3 fatty acids, that indirectly counteract the body’s own cholesterol levels, helps to reduce the effects of the relatively high cholesterol in oysters, and also aided by the presence of large amounts of non-cholesterol sterols which inhibit its absorption. In any case, cholesterol from food has only a marginal effect on the level of cholesterol in the blood; in this sense, the amount of the harmful saturated fat in food is of greater significance.